Nokia has launched a new Asha phone, called the Asha 310. The phone slots in above the current Asha 309 and includes dual-SIM support lacking on the 309. Other specs remain identical, including a 3-inch, 400 x 240 LCD, 2 megapixel rear camera, 20MB memory with microSD card slot (supports up to 32GB), WI-Fi, Bluetooth and FM Radio. 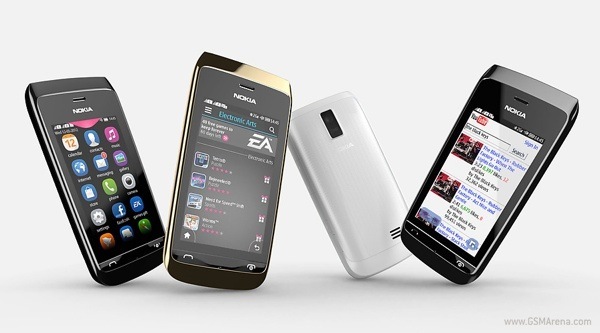 The dual-SIM slot uses Nokia's Easy Swap method that lets you swap SIMs without switching off the phone and remembers profiles for up to five SIM cards. The Nokia Asha 310 will go on sale in Asia, India, the Middle East, Africa and Brazil starting Q1 2013 for approximately US$102.